Your carpet is a big investment, but normal wear & tear can quickly leave it looking dull and dingy. When you decide to hire a professional carpet cleaner, how do you avoid companies who do more harm than good? 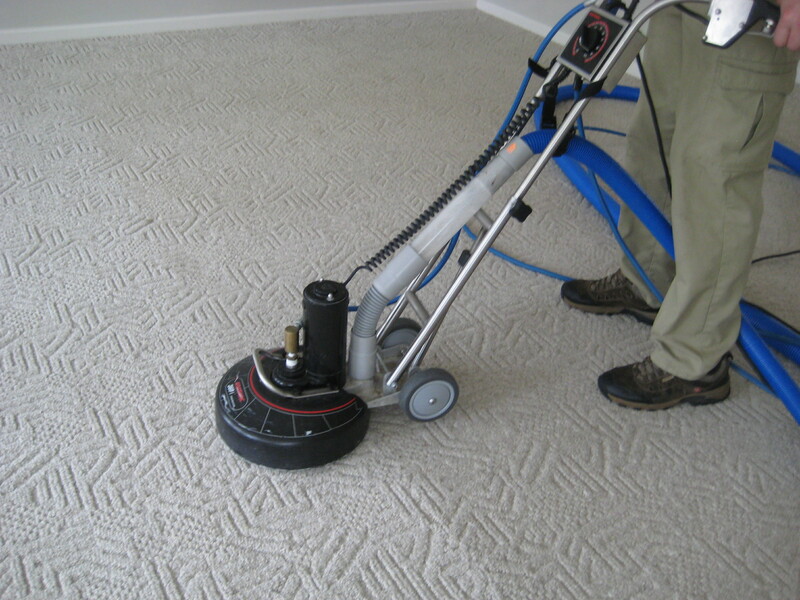 Mighty Clean offers Residential as well as Commercial Carpet cleaning for Alexandria home and offices. When you call Mighty Clean Carpet Care, for carpet cleaning Alexandria VA, you don’t just get some guy with cleaning equipment. Our courteous and professional carpet cleaning technicians go through extensive training to learn the chemistry behind the solutions they use. Technicians are certified by the I.I.C.R.C. and trained to ensure they know the most effective ways to remove soils, tough stains, and protect your carpets to ensure they last for years to come. When your office carpet is in need of special attention call Mighty Clean for a free estimate and demo of our Commercial Carpet Cleaning process. Office carpets are different then what you find in a typical home, and so is our commercial carpet cleaning program. We also offer maintenance contracts to keep your carpet looking clean all year long. Alexandria is an independent city in the Commonwealth of Virginia. As of the 2000 census, the city had a total population of 128,283. Located along the Western bank of the Potomac River, Alexandria is approximately 6 miles (9.6 kilometers) south of downtown Washington, D.C.
Like the rest of northern Virginia, as well as central Maryland, modern Alexandria has been shaped by its proximity to the nation’s capital. It is largely populated by professionals working in the federal civil service, the U.S. military, or for one of the many private companies which contract to provide services to the federal government. The latter are known locally as beltway bandits, after the Capital Beltway, an interstate highway that circles Washington, D.C. One of Alexandria’s largest employers is the U.S. Department of Defense. Others include the Institute for Defense Analyses and the Center for Naval Analyses. In 2005, the United States Patent and Trademark Office moved 7,100 employees from 18 separate buildings in nearby Crystal City into a new headquarters complex in the city. Alexandria is home to numerous trade associations, charities, and non-profit organizations including the national headquarters of groups such as Catholic Charities USA, United Way, and the Salvation Army. In 2005, Alexandria became one of the first cities of its size to offer free wireless Internet access to some of its residents and visitors. The historic center of Alexandria is known as Old Town. With its concentration of high-end boutiques, fine restaurants, antique shops and theaters, it is a major draw for tourists and those seeking nightlife. Like Old Town, many Alexandria neighborhoods are compact, walkable, high-income suburbs of Washington D.C. It is the seventh largest and highest income independent city in Virginia. A 2005 assessed-value study of homes and condominiums found that over 40 percent were in the highest bracket, worth $556,000 or more. It should be noted that a large percentage of the residents of Alexandria are older government workers who skew the average and median income of the city. This being said, there are numerous public and low-income housing complexes scattered throughout Alexandria. In 1791, Alexandria was included in the area chosen by George Washington to become the District of Columbia. 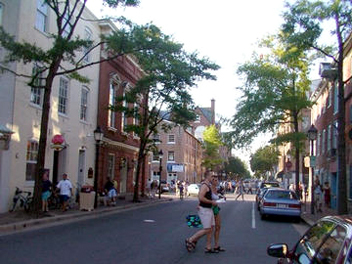 A portion of the City of Alexandria—namely known as “Old Town”— and all of today’s Arlington County share the distinction of having been originally in Virginia, ceded to the U.S. Government to form the District of Columbia, and later retroceded to Virginia by the federal government in 1846, when the District was reduced in size to exclude the portion south of the Potomac River. The City of Alexandria was re-chartered in 1852. From 1828 to 1836, Alexandria was home to the Franklin & Armfield Slave Market, one of the largest slave trading companies in the country. By the 1830s, they were sending more than 1,000 slaves annually from Alexandria to their Natchez, Mississippi, and New Orleans markets to help meet the demand for slaves in Mississippi and surrounding state. Later owned by Price, Birch & Co., the slave pen became a jail under Union occupation. 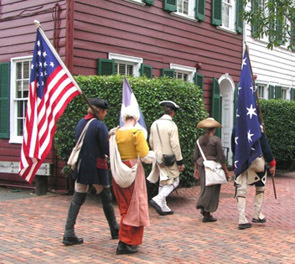 The City of Alexandria became independent of Alexandria County in 1870. The remaining portion of Alexandria County changed its name to Arlington County in 1920, which ended years of confusion.